This is our latest lily pond, the water lily was purchased from Mappins Nursery at Kenmore. 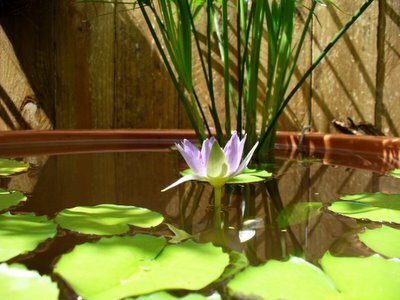 They have a huge range of water lillies and aquatic plants, well worth a visit. This pond has emerald spotted tree frog tadpoles in it. 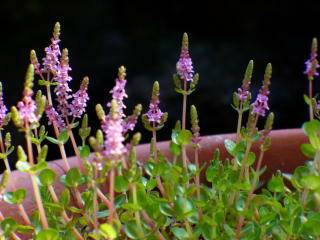 Photographed in the frog garden this last spring, this water plant is called pink retala. 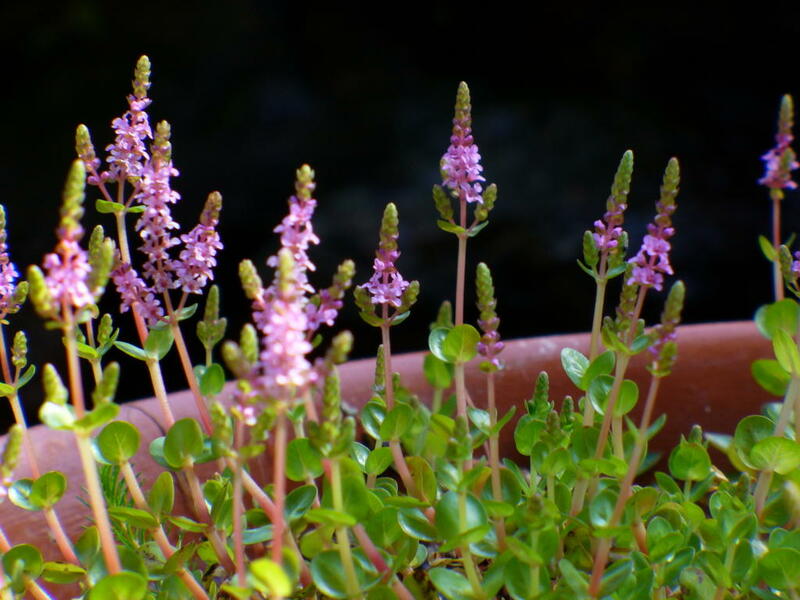 It's a marginal plant that grows at the edge of ponds. This is the largest water feature in our garden, about 2.5 x 1.5 metres and about .5 metres deep. If you look carefully you can spot one of our goldfish having a swim. Fritz's favourite spot is the handrail on the ramp which leads up to our house. 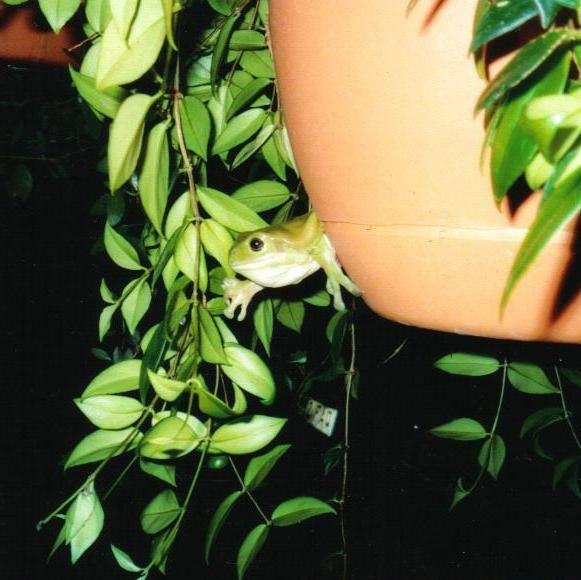 In the warmer months he climbs out of his pot mid evening and on the occasional early morning we spot his backside making the final squeeze back into his hole. 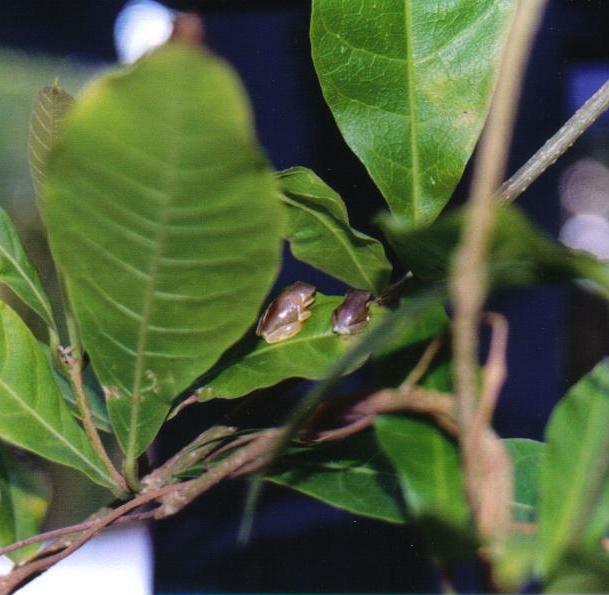 Green tree frogs are a delightful companion in any garden. 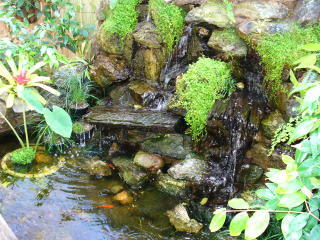 Just create the right enviroment, a pond or water feature with lots of native plants, ferns and grasses. In our garden we have two water features and five ponds of various sizes. I hope to post photos of them later. 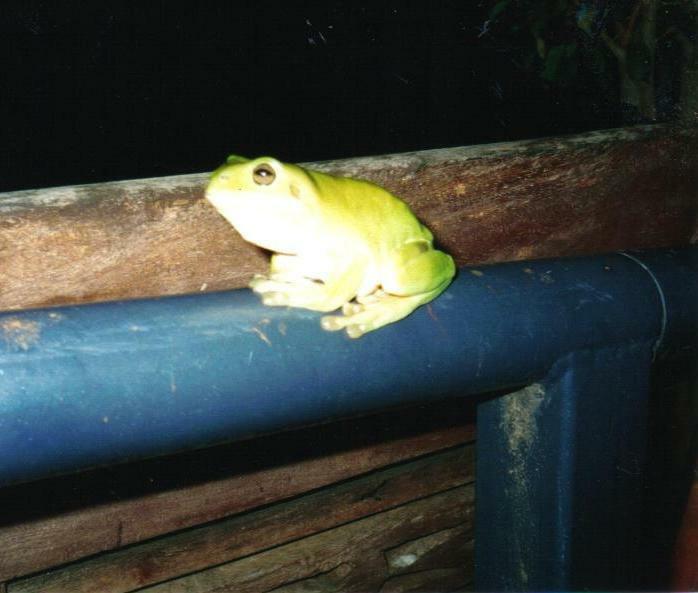 Hello, this is Fritz, he lives in Frog Garden... Fritz (or maybe it's Fritzina) arrived in our garden last summer. Obviously attracted by our number of ponds and water features, we found fritz on a hot summers day cooling off in a cardboard box in our car port. After a couple of nights scouting around he made his home in the self watering pot (pictured) during the warmer months he popped out nightly to find his dinner. 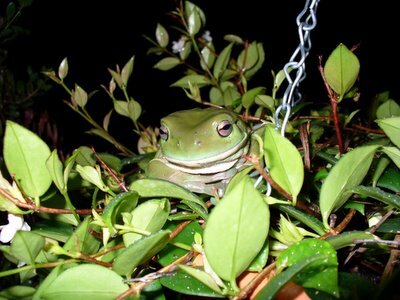 Fritz is currently hibernating, we are hoping that he or she might find a spouse in the garden this springtime.